As he turns 35, it seems it's time to celebrate old Paca's birthday. I only know one person who actually knows Paca in real life, but as an avid Paca blog reader, I feel some commendations are in order. 1. Paca has completed a marathon. Yep, a whole 26-mile one. 2. Paca cooks and does childcare, regularly. His wife enjoys equality and respect. He's a real man. 3. Paca is the smartest person Alan and I know, except for the math/science people. But as a humanities person, it's nice to have an idol. 4. 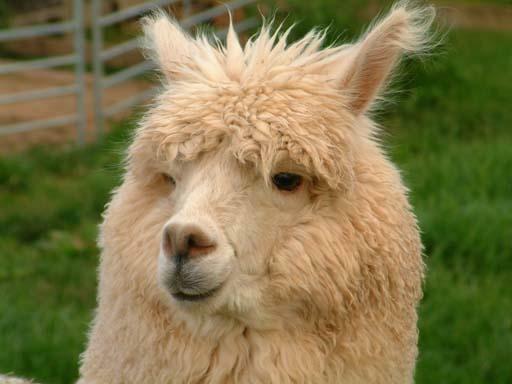 Paca named himself after what is essential a long-necked sheep. I can only surmise that he has absolute self-confidence. 5. Paca has good taste in friends. We should judge people more by their taste in friends, I think. Wow. I'm humbled. I knew I chose my friends well.